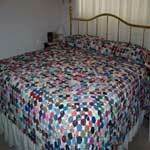 As most of us know the bedspread can make or break the looks of a bedroom. Choosing just the right fabric and print is truly what makes a bed handsome or beautiful. You can make a child's room, guest room or the master bedroom even more appealing by adding a bedspread to give the room a desired affect. 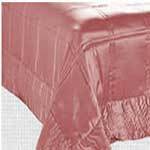 Below you will find a selection of bedspread patterns including a duvet, a chenille bedspread, reversible bedspread, dust ruffles, and more. The bed is the main focal point of any bedroom and you can make that focal point your own by sewing a special bedspread. 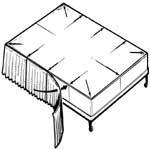 Find instructions on how to measure and the materials needed to make your own bed cover. A made-to-match spread and dust ruffle can make the bedroom just that more beautiful. 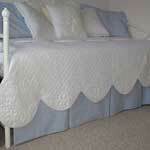 This is the simplest of bed covers and can be made in a variety of fabrics. Here are instructions for measuring and sewing a plain duvet cover. A bedspread that can be made to match, coordinate or contrast with your color scheme. 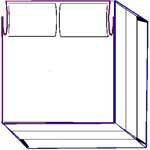 This site offers great instructions for how to measure and sew a spread of your own. Empty out all of your scrap fabric and get started making this lovely scrap spread. This one will give a more tailored look to your bed and is easy to make. 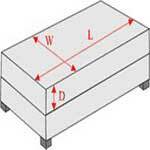 Start by measuring your box springs and follow these step by step instructions. 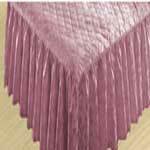 A fitted bed valance, bed skirt or dust ruffle is suitable for divan beds. Add storage, space & beauty to your crib with this dust ruffle. 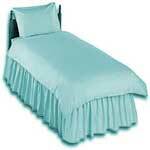 A dust ruffle is a both decorative and functional choice in kids' rooms for many reasons.